It’s been a rather slow year for IPOs in 2016, partly because of disappointing IPO returns in 2015 and the global economic and political uncertainties that have rattled stock, forex and commodity markets. However, a major bounce back is expected in the IPO market in 2017, although the activity might not be the levels witnessed in 2014. The bounce back in the IPO market in 2017 is expected to be supported by high valuations, improving economic fundamentals and lower volatility. Here are some of the tech unicorns that are most anticipated to go public in 2017. The management of Airbnb has seemed adamant to take the company public. 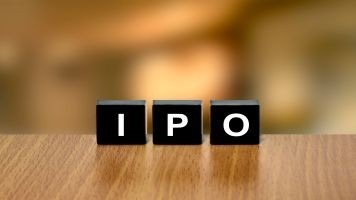 At some point in 2014 CEO Brian Chesky said that they had no hurry over an IPO, adding that they will do it when they feel it benefits the company and have a compelling reason for it. However, investor appetite for Airbnb IPO in 2017 continues to build up as Airbnb is now one of the most valued U.S. startups today. The last valuation put Airbnb at $25.5 billion before the company raised nearly $850 million in the last few months through equity funding, which has likely pushed its valuation to $30 billion. Investors are training their eyes on potential Uber IPO in 2017. However, like the case of Airbnb, the management of Uber, the most valued U.S. tech startup at $68 billion, is in no hurry to take the taxi services company public. Earlier this year, Uber CEO Travis Kalanick hinted that they are not treating IPO idea as a priority. In fact, he said that public listing of Uber he would desire to delay it as much as possible. But with Uber’s swelling valuation, the company is likely to come under increased pressure to go public. Unlike Uber and Airbnb, Snapchat has embraced IPO idea. In fact, as far back as mid-2015, Snapchat CEO Evan Spiegel said that they indeed have IPO plans. However, the CEO fell short of saying when exactly the $20 billion startup would go public. The market is expecting Snapchat to be among the unicorns going public in 2017. Cloud storage company Dropbox is another startup said to be contemplating public listing in 2017. Though the management is yet to confirm it, recent reports have shown that Dropbox opened talks with advisors to see if IPO in 2017 would be a great idea. The startup, which has raised more than $600 million through private funding, is valued at $10 billion and could be one of the high-profile tech IPOs in 2017. Startups in emerging markets are facing limited financing options and that is one major reason they will be looking to the equity market in 2017 to raise capital, thus fueling IPO activities in the year. Chinese startups are expected to be among the most active in IPO market in the coming years as the economy stabilises and Beijing relaxes approval of major deals. There were 32 IPOs in 2Q2016 that raised $6 billion. But the number of IPOs in the quarter more than halved from 72 IPOs witnessed in 2Q2015 that raised $14 billion. Take advantage of the crypto trading with the best cryptocurrency brokers!